Huawei & Samsung aims to be the first phone with screen hole. - Hello! Welcome to my blog! Now to give our readers a perspective, Huawei released the Nova 3 with a Kirin 970 chipset and Kirin 960 prior that. We would assume that the new one will be the latest Kirin 980? (crosses fingers). 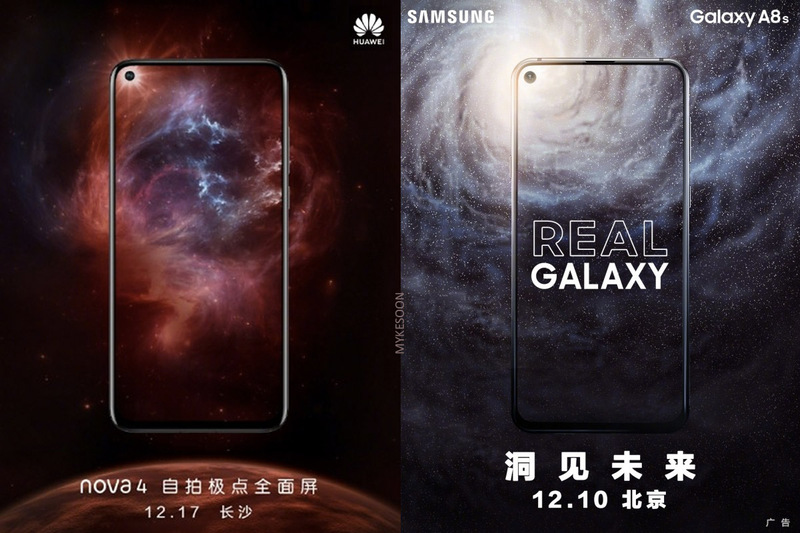 As for the specs, we've still yet to find out the official sheet, all we know is that both screens (Huawei Nova 4 & the Samsung Galaxy A8s) are made by BOE. 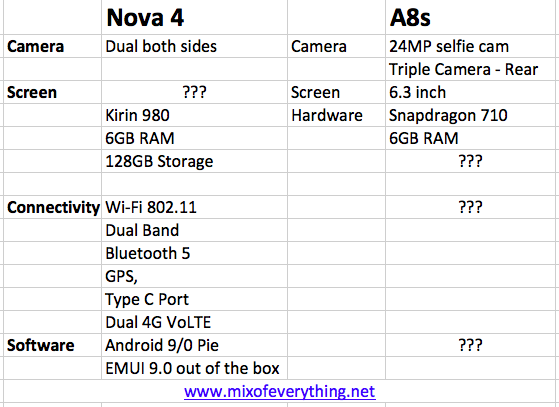 But since we all can't help but compare, here's an unofficial breakdown of what we think we know about these two devices. So what about you? Going for the Nova 4? or the A8s? are you #TeamHuawei? or #TeamSamsung? Hit the comments below and let me know what you think!